and you can enjoy your summer. Mosquitoes are a whole different type of stinging insect. 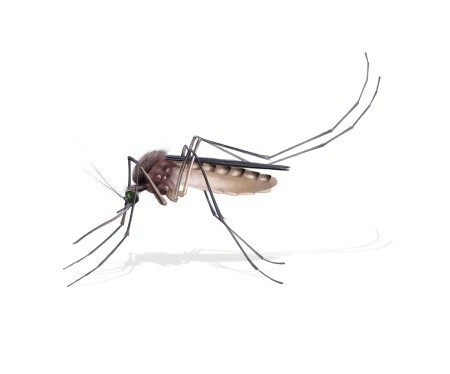 Mosquitoes breed in standing, stagnant water and soft soil, and will go from an egg to an adult in 10 days to 2 weeks. The females are the blood suckers, while the males feed on nectar from plants. They are well known to spread West Nile virus, dengue fever and malaria, but are also responsible for leaving swollen, itching bite marks on the skin of their victims. To avoid mosquitoes, ensure that sources of standing water such as birdbaths, non filtered pools, kiddie pools, storm drains and small ponds are churned or replaced weekly. Make sure that overgrown vegetation around these also needs to be removed. (Which sounds like a blast in 106 degree weather.) There are fish that eat mosquitoes, such as gambusia, green sunfish, bluegills and minnows which can be added to ponds to discourage their growth. Keep them out of the house with screens over windows and doors. They are most active at dusk and dawn, so make sure to use a repellent with DEET when outdoors, especially at these times. Just because you aren't near standing water, you're not necessarily safe, as mosquitoes fly up to 14 miles for a meal.